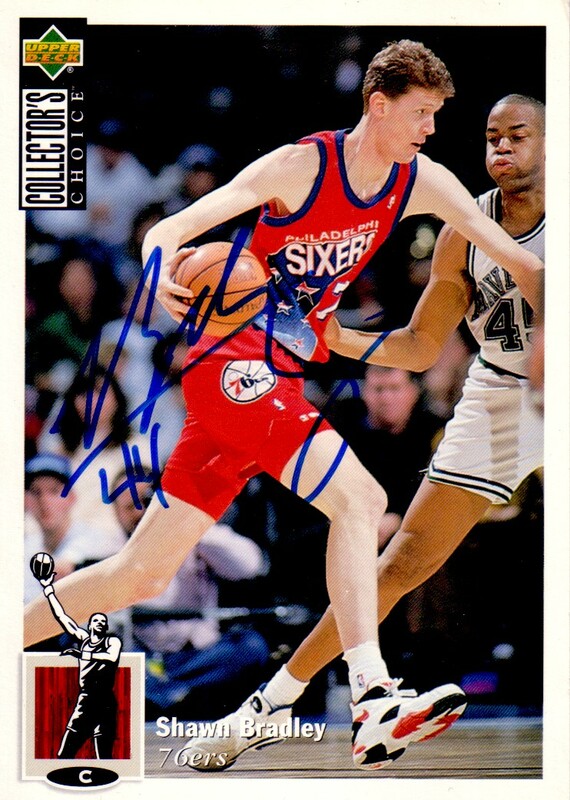 1994-95 Collector's Choice 5x7 inch jumbo card autographed in blue marker by former Philadelphia 76ers center Shawn Bradley. ONLY ONE LEFT. Obtained in person. With certificate of authenticity from AutographsForSale.com.